Welcome to Isle of Wight Belly Dance. Belly dancing offers you a community of friends and creates self-confidence in an art form that embraces all body types and ages. No matter what your age, shape or size – belly dancing is for you. In my women only classes, I aim to teach the basics of belly dance and exciting choreographies in a relaxed and friendly atmosphere. You will learn a new skill, exercise, make new friends and most importantly of all – enjoy yourself. I have 14 years belly dance experience and am the founder of the Eastern Promise Belly Dance Troupe on the Isle of Wight, and Isle Shimmy. I have trained with a variety of fabulous belly dancers from around the world, in an eclectic mix of styles. UK dancers include Candi Bell, Fulya, Jan Piggot, Michelle Pender, Shona Hagan and Stephi Briggs. International dancers include Ameera, Elis Pinheiro, Keti Sharif, Lorna of Cairo, Meena Gorgese, Ozgen, Raheesha, Sahira and certificated training with the amazing Sadie of Denver. I have taught various workshops nationally. I have performed both locally and nationally, and also at weddings, anniversaries, birthdays, hen parties, theme nights and dinner parties. 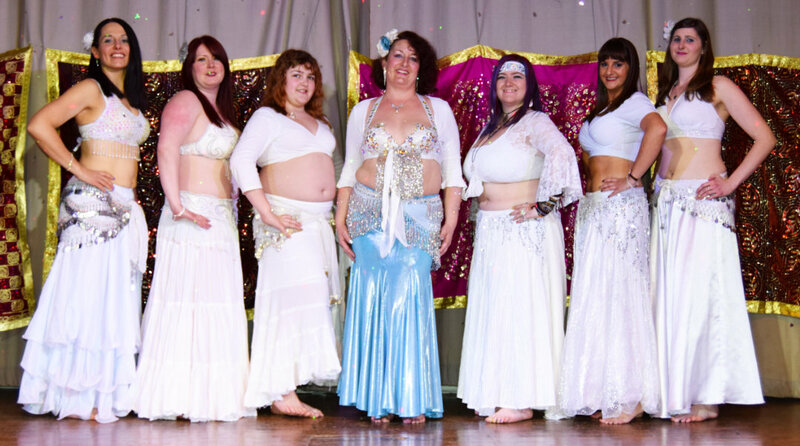 Eastern Promise Belly Dance Troupe have performed at many locations on the Isle of Wight and at various mainland events. We also dance with Raw Samba in Carnivals, both locally and nationally. We were also finalists in The Island Has Talent 2012.